Powerskin R-Evo+ is made with a 100% textile material, Powerskin R-Evo+. It allows the swimmer to keep superb stability and body alignment during the stroke. Thanks to the high-tech Z-Raptor+ fabric, all Powerskin R-Evo+ range suits guarantee maximum compression combined with unmatchable comfort. 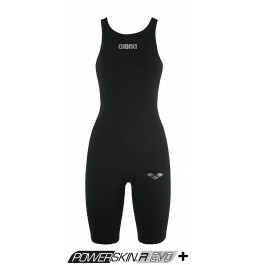 Powerskin R-EVO+ range also features the advanced bonded seams system that allows low profiled, bonded seams. Powerskin R-EVO+ range is ideal for all strokes and distances. Powerskin® R-EVO + is made with a 100% textile material. 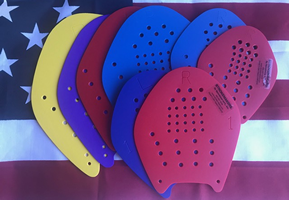 Powerskin® R-EVO+ allows the swimmer to keep superb stability and body alignment during the stroke which reduces surface and form drag. Thanks to the high-tech Z-Raptor+ fabric, all Powerskin® R-EVO+ range suits guarantee maximum compression combined with unmatchable comfort. All REVO PLUS products feature the bonded seams system that allows low profiled, bonded seams.